Timothy Ministry: Could Jesus Have Faked It? Could Jesus Have Faked It? It is often argued that Jesus might have been a self-fulfilled Messiah. That is, that He could have been an imposter who sought to fulfill the Messianic prophecies and so make Himself out to be the Messiah, or that perhaps He was a delusional man who truly believed He was the Messiah and went about to fulfill the Messianic imperatives. Could that be true? Let us consider the evidence. The first difficulty such a person would have to face if attempting to self-fulfill Messianic prophecy is the timing of the birth of Messiah. Amazingly, the exact time of the Messiah’s birth and the precise conditions and events surrounding the Messiah’s birth are specifically foretold by the prophets in the Old Testament. This presents a virtually impossible obstacle for anyone desiring to self-fulfill the Messianic prophecies. The Book of Daniel records a remarkable prophecy which states that from the issuing of the command to rebuild Jerusalem - after its destruction by the Babylonians which occured in 586 BC - until the arrival of the Messiah, there would elapse exactly 483 years: “Know therefore and understand, that from the going forth of the commandment to restore and to build Jerusalem unto the Messiah the Prince shall be seven weeks, and threescore and two weeks: the street shall be built again, and the wall, even in troublous times.” (Daniel 9:25). In Hebrew, the word shabuah (translated “weeks”) simply means a period of seven, which in Hebrew thought could either be seven days or seven years. The figure in the verse is 69 shabuah, or 69 x 7, which equals 483. The city of Jerusalem lay in ruins until the Persian king Artaxerxes Longimanus issued an edict in 445 BC which commanded the Jewish exiles to return to Jerusalem and rebuild its walls and streets. It is obvious from the text, and from the fact that the Messiah did not arrive 69 shabuah of days (about one year) after this edict, that the prophecy is referring to shabuah of years. By calculating 483 years from the edict of Artaxerxes forward, we are brought amazingly to the last week of the life of Jesus Christ, also known as “Passion Week” (32 AD). Now hear what Daniel says next: “And after threescore and two weeks shall Messiah be cut off, but not for himself: and the people of the prince that shall come shall destroy the city and the sanctuary; and the end thereof shall be with a flood, and unto the end of the war desolations are determined.” (Daniel 9:26) This remarkable prophecy states that the Messiah will be killed at the time He is revealed (though not for any sin of His) and that following His death a people shall come and destroy again Jerusalem and the temple. The precision and grandeur of this prophecy is astounding. Not only did Jesus come at exactly the right time when Messiah was foretold to come, and not only was Jesus put to death exactly as the prophecy foretold would happen to Messiah, but within 40 years of Jesus’ death the Romans came upon Jerusalem and destroyed again the city and the temple, just as the prophecy foretold! Truly, we do not have a Messianic candidate that could fit this prophecy more perfectly than Jesus. If Jesus was not the Messiah, how could He have arranged the precise timing of His birth, the unusual nature of His death, and the necessary political conditions for not only His own nation, but Rome? Based upon this alone, how can anyone honestly blame another person for believing in Jesus? But there is so much more. Jesus couldn't have chosen to be born in Bethlehem, the place where the Messiah was to be born (Micah 5:2). The circumstances which resulted in Jesus being born at Bethlehem involved Caesar Augustus taxing the Roman Empire, and at just the right time. It is impossible that this could have been arranged. But is it possible that, having found Himself born at Bethlehem, He decided to fake it from there? He couldn't have pretended He was born of a virgin (Isaiah 7:14); His mother and father and His brothers and sisters would have blown the whistle on His lie. Besides, if Jesus was born of Joseph, He might have borne the resemblance of Joseph. But suppose He bore the resemblance of Mary, and suppose His family collaborated in the scheme? Mary and Joseph might have planned the whole thing before Jesus was born. But if that were true, King Herod would never have ordered the slaughter of the babies at Bethlehem, for he did this only because of the wise men's report; but if the whole thing wasn't truly of God then the wise men would never have followed the star from the east to come visit Jesus and report to Herod what they saw. Unless, of course, we assume that they too were in on the scheme! One might argue that His parents were attempting to fulfill prophecy when the young Jesus was taken down to Egypt and then moved to Nazareth to grow up there (Matt. 2:13-15, 23) . But is it really probable that Joseph and Mary were really Messianic conspirators? How could they have understood all the prophecy that needed to be fulfilled at that time, and what would motivate them to orchestrate such a deception? What would they get out of it? What would Jesus get out of it? If they really were prophetically knowledgeable, they would have known that all of this would lead to death – and if didn’t, Jesus couldn’t claim to be Messiah. To suggest that Mary and Joseph were Messianic conspirators is pure speculation devoid of all probability and evidence. If they did in fact conspire to pass Jesus off as the Messiah, they would have had to brainwash Him from a young age, convincing Him that He was the Savior and King of the world. At a minimum, a boy fed such lies would grow up confused and conceited, emotionally troubled and mentally unhealthy! This we definitely do not find in Jesus. In fact, His neighbors among whom He lived reported absolutely nothing unusual about Him as He was growing up. They actually later denied His Messianic claims on account of this (Matt. 13:54-58). Even His family was troubled by his Messianic claims (John 7:5). One of the prophecies of Messiah was that He would be rejected even by His own family (Ps. 69:8). Therefore how could they promote Him while at the same time reject Him? In order for Jesus to fulfill all Messianic prophecy, it would be necessary for Him to have a forerunner to go before Him to prepare the way for His coming (Is. 40:1-3). Are we also to assume that John the Baptist was in on a big lie? If so, the size of our conspiracy grows as does the size of our groundless speculation. John the Baptist was a holy man and was understood to be so by all of Israel (Josephus, Antiquities 18.5.2). He spent years eating locusts in the desert, preaching the law of God, until He was eventually put to death for his devotion to God. The extreme unlikeliness of John's involvement in a grand Messianic hoax pushes such an idea into the realm of irrationality. Why, John himself even doubted whether Jesus was the Christ later on in Jesus' ministry (Luke 7:20)! Clearly Jesus believed Himself to be the Messiah. But how then, if He were merely a self-deluded or willfully lying man, could He have fulfilled the prophecies regarding the miracles and signs and wonders that Messiah must do (Is. 35:5-6, John 7:31)? The Jews would accept no Messiah who could not fulfill this criteria, and certainly Jesus did fulfill it. His life was full of the miraculous, and it was largely on account of this that so many people followed Him: "Rabbi, we know that thou art a teacher come from God: for no man can do these miracles that thou doest, except God be with him." (John 3:2; see also John 2:23, 6:2, 7:31, 11:47, Acts 2:22) How could this have been faked? If we say that He was demon-possessed or a sorcerer, we are now treading upon seriously dangerous ground (Matt. 12:22-37). Why concede the reality of demons and sorcery but not the reality of God and of Christ? How can we attribute demons to one so holy and faultless and God-honoring? There is nothing in the character and life of Jesus that would even suggest an unclean spirit or sorcery, but rather the presence of the Holy Spirit. To charge Jesus with such evil is not only the highest imprudence, but also the highest blasphemy. There is also nothing in the life of Jesus to even slightly suggest that He was delusional. In fact, there is hardly a better example of one so sound in mind. "Never a man spake like this man." (John 7:47) Commenting on the psychology of Jesus, Dr. Gary R. Collins, professor, author and psychologist, noted: "Psychologists don't just look at what a person says. They'll go much deeper than that. They'll look at a person's emotions, because disturbed individuals frequently show inappropriate depression, or they might be vehemently angry, or perhaps they're plagued with anxiety. But look at Jesus: He never demonstrated inappropriate emotions. He was obviously in contact with reality. He wasn't paranoid, although He rightfully understood that there were some very real dangers around Him. He spoke clearly, powerfully, and eloquently. He was brilliant and had absolutely amazing insights into human nature. He had deep and abiding relationships with a wide variety of people from different walks of life. He was loving but didn't let His compassion immobilize Him; He didn't have a bloated ego, even though He was often surrounded by adoring crowds; He maintained balance despite an often demanding lifestyle; He always knew what He was doing and where He was going; He cared deeply about people, including women and children, who weren't seen as being important back then; He was able to accept people while not merely winking at their sin; He responded to individuals based on where they were at and what they uniquely needed. All in all, I just don't see signs that Jesus was suffering from any known mental illness. He was much healthier than anyone else I know!" (The Case for Christ, Lee Strobel, 147) Clearly Jesus was not mentally ill. Were He delusional, people would have quickly detected it. There are many other impossibilities. How could Jesus have had Himself "rejected without a cause" (Ps. 35:19, 69:4)? Surely in order to instigate the fulfillment of this prophecy He would have had to have done something worthy of rejection, but the prophecy could only be fulfilled if He did nothing to incur such rejection. Both King Herod and Pilate had to condemn Him, all His own disciples would have to abandon Him, and He would have to be rejected by the entire nation of Israel (Acts 4:25-28). How could He control the actions of others? He would have to control every single person He came in contact with as well as the rulers of the Jews and of the Gentiles. And how could His disciples have been in on the scheme if they too forsook Him (Matt. 26:74-75)? There are so many prophecies that any attempt to fulfill them all could easily have been foiled. Any number of little things could cause failure to bring them about. Take for example the prophecy of Christ riding into Jerusalem on a donkey (Zech. 9:9). What if the donkey's master didn't want to give the donkey to the Lord? What if no people came out to praise and cheer Him shouting "Hosanna to the Son of David, Blessed is He who comes in the name of the Lord"? Jesus could have been killed without difficulty by the Jewish authorities after He cleansed the temple or preached against the hypocrisy of the Pharisees. Why didn't they just get rid of Him sooner than they did? How could He have planned even the necessary prophetic mode and timing of His execution, so that He was crucified during the Passover - something the Pharisees didn’t even want to do (Matt. 26:2-5)!? Could it be as the Scriptures state, that "His hour had not yet come" (John 7:30, 13:1)? If Jesus was attempting to self-fulfill prophecy, a vast plethora of things could easily have gone wrong and ended His phony career. There is no other reasonable explanation that can be given except that Jesus is truly the Christ, the Son of the living God. And why would someone want to be the Messiah anyway? To be the Messiah does not mean gold, women, glory and long life. It means poverty, loneliness, rejection and death. Jesus knew all along that He had come to die (Matt. 20:28), and indeed at the young age of thirty-three, after only three years of ministry, He willingly and without resistance went to His ignominious death. This was not some honorable and painless death. The prophecies concerning Messiah's trial and death were terrible: He must suffer many things, be beaten and scourged and ridiculed, then be nailed to a cross to die as one rejected by God and men - the most painful and shameful execution that could possibly be imagined. And so He fulfilled Isaiah 53:5-7: "He was wounded for our transgressions, He was bruised for our iniquities: the chastisement of our peace was upon Him; and with His stripes we are healed. All we like sheep have gone astray; we have turned every one to his own way; and the Lord laid upon Him the iniquity of us all. He was oppressed and afflicted, yet He opened not His mouth. He is brought as a lamb to the slaughter, and as a sheep before His shearers is dumb, so He opened not His mouth." How could Jesus have controlled all the events that occured during His arrest and crucifixion which demanded exceedingly detailed prophetic fulfillment? Here are just a few: He had to be betrayed by a close friend (Ps. 41:9). He had to be betrayed for 30 pieces of silver - the silver would then later have to be used to purchase a certain field, which Jesus' enemies did indeed buy (Matt. 27:9-10). All His disciples had to abandon Him (Zech. 13:7). He had to be falsely accused (Ps. 35:11), spat on and struck (Is. 50:6), scourged (Is. 53:5), and sentenced to crucifixion (something reserved only for serious criminals, though Pilate found no fault in Him). He had to be killed on the Passover (1 Cor. 5:7). He had to be killed outside the city (Heb. 13:11-12). He had to have His hands and His feet pierced (Ps. 22:16). His garments had to be gambled for (Ps. 22:18). He had to be given sour wine to drink (Ps. 69:21). He had to be ridiculed and cursed while hanging on the cross (Ps. 22:6-8). No bone of His body could be broken, even though the Roman soldiers broke the bones of both criminals that hung next to Him (John 19:31-36). He had to be pierced in His side (John 19:37). He had to be buried in a rich man’s tomb (Is. 53:9). All of these things happened. Could Jesus have faked this? Every one of these things had to be fulfilled, and yet they were all outside of His control. If any one of these prophecies had failed, then Jesus could never have been believed to be the Messiah. There is simply no possibility that Jesus could have caused all of these prophecies to be fulfilled on that fateful day. The only explanation is that it was in truth the work of the Divine will. That the prophecies of Messiah required some extremely radical fulfillments is known by all. Anyone who does not fit these claims cannot be followed as Messiah. Messiah would rise from the dead (Ps. 16:10). Messiah would gather the Gentiles to worship God (Is. 11:10, 49:6). Messiah would pour out the Holy Spirit upon the people of God (Joel 2:28-29). Jerusalem and its temple would be destroyed immediately after the appearance of Messiah (Dan. 9:26). Messiah would establish the Kingdom of God upon the earth and reign upon the throne of His father David (Is. 9:6-7). Messiah would totally restore the earth to its pre-fall conditions and bring peace and righteousness to the world (Is. 11:1-9). Anyone who cannot do all of these things is not the Messiah. This explains why, when Jesus was lying buried in the tomb for three days, His own disciples gave up hope that He was the Messiah. They "had hoped" He was the Messiah (Luke 24:21), but a dead Messiah is no Messiah at all. Had Jesus not risen from the dead there would be no such thing as Christianity. The disciples would not have preached that Jesus was the Christ. Christianity therefore requires the empty tomb. The Christian faith is not merely a philosophy based upon ideas and principles, but rather a faith founded upon the historical event of the resurrection of Jesus Christ. 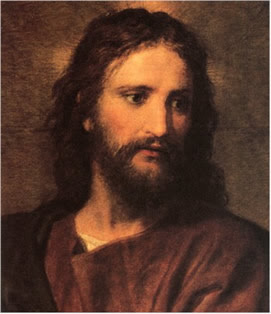 Of course we know that the same Jewish leaders who orchestrated Jesus' death also accused the disciples of stealing the body (therefore, as an aside, the Jewish leaders could not have been part of a Messianic hoax), but this article is not concerned with the character of the disciples but with the character of Jesus. A study of the apostles’ character will likewise reveal the absurdity of such a claim. But now we must make a decision. The ultimatum is the same today as it was in the 1st century: either Jesus is the Christ who really did rise from the dead, or it was all just one enormous hoax. But if one chooses the latter, one will find oneself fighting, not only against reason, but against God. Miraculously, Jesus Christ has continued to fulfill prophecy even since His death and resurrection. While Judaism was an exclusionary religion that included no one but Jews, Christ has drawn the whole world to Himself - people of every tribe, tongue and nation - so that for nearly two thousand years both Jewish and Gentile believers in Jesus have worshiped the one true God of Israel in Spirit and in truth, side by side, just as the prophets foretold would happen after the coming of the Messiah (Isaiah 49:6, 60:3). There is no comparison to the worldwide, cross-cultural, worship of God that Jesus Christ has produced. And not only this, but as the age progresses, more and more prophecy is being fulfilled, rapidly leading the world toward the second coming of Jesus Christ: when He shall return to the earth in great power and glory, fulfilling the prophecies of worldwide restoration and the establishment of the kingdom of God in righteousness and peace. This article has shown that it is patently absurd to claim that Jesus could have faked His Messianic identity. The next question is, what will you believe about Jesus? Was He a fraud, or the Christ of God who came from heaven to die for your sins? There is no middle ground. You must decide. Jesus Christ said, “I am the way, the truth, and the life: no one comes to the Father except by Me.” (John 14:6) The One who claimed to be the truth now generously offers life to you, and to all who simply turn to Him by faith. Shalom, Eli. The comment from b Talmud ch4 folio 37 I have read several times, but now that I am looking for it- I do not find it either in ch 4 of Sanhedrin or in folio 37 a or b. If you have time can you help me with this reference I need it for a paper that may be scrutinized by anti-missionaries and I want to have a solid reference. If notm there are references in Sanhedrin 96-98 I can use but this one, if true, would be excellent. If not true, I need to leave it out. "Pugio Fidei, Martini, Raymundus, published by De Vosin in 1651. For a detailed discussion of this reference see The Fifty Third Chapter of Isaiah According to Jewish Interpreters, preface p.iv S.R. Driver, A.D. Neubauer, KTAV Publishing House, Inc. New York 1969".